St Martin Island The Carabbean Island St. Martin, or St. Maarten, is the smallest land mass in the world shared by two nations, and is home to two distinct cultures, Dutch and French. We love living in Iowa, but to make it through the cold and snowy months, we plan a trip somewhere tropical and sunny in the middle of the icy season here. This year, our extended family traveled to the Caribbean island of St. Martin. 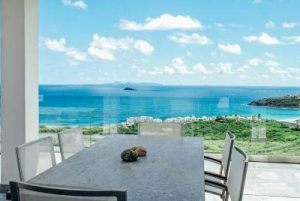 St. Martin, or St. Maarten, is the smallest land mass in the world shared by two nations, and is home to two distinct cultures, Dutch and French. The French side of the island is home to its capital, Marigot. The quaint town boasts a bevy of ocean-front cafes serving the most delicious croissants and beignets (french doughnuts) on the island. The Dutch side of the island is home to its capital, Philipsburg. The Dutch capital boasts a lengthy boardwalk with duty-free shopping, delicious restaurants and lessons in history with “Old Street.” Philipsburg is also a popular cruise ship port. 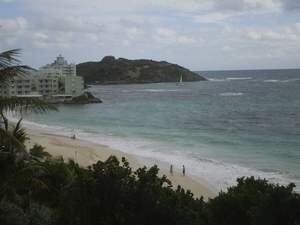 Both sides of the island feature beautiful beaches. Our family, which included my parents, my aunt and my sister’s family, rented a house on the Dutch side. The house was on Dawn’s Beach, said to be the most gorgeous beach on the island. Our party of 11 made for a fantastic family trip for the children and the adults. We flew in to Princess Juliana Airport in Maho Bay and rented two cars. Having two allowed our group to split up and experience the island in different ways. The island was safe and easy to get around. Its central mountain range provided interesting terrain with winding roads featuring small villages and untouched landscapes. My husband, Josh, and I are adventurers by nature and when we travel, we love to get the local flavor of an area and explore its unique features. With our daughters Harper and Hadley in tow, we made our way around the entire island. We enjoyed visiting Marigot and seeing Fort St. Louis, the island’s largest and most visited historical monument. 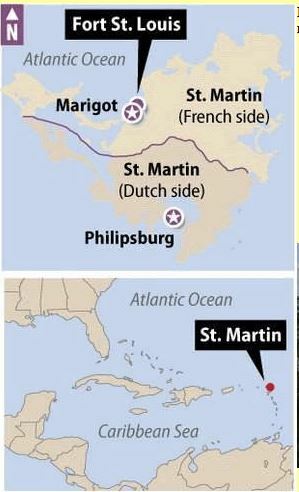 According to local historians, between 1648 and 1817, St. Martin changed hands more than 16 times between the Dutch and the French. Besides their infighting, both countries had to repel numerous British invasions. By 1767, King Louis XV ordered the construction of Fort St. Louis to ward off attacks. With free WiFi throughout, the property is totally air-conditioned and features 3 spacious rooms. There is also a full kitchen, a seating area and a private terrace overlooking the water. At Crystal Villa you will find a restaurant and a tennis court, while other facilities like laundry machines are offered. Private parking is possible for 4 vehicles. Activities in the surrounding area include horse riding, hiking and diving. Princess Juliana International Airport is a 25-minute drive away, with an airport shuttle service available at the property. The Dutch capital of Philipsburg features “Old Street” where tourists can explore the historic Court House, built in 1793.St. Martin, or St. Maarten. Babit Point, the peninsula encircles the bay and transforms it to an ideal protected harbour. The narrow inlet between Babit Point (French side) and Oyster Bay Resort (Dutch side) is a challenge to sailors and some had to pay with the loss of their boats. 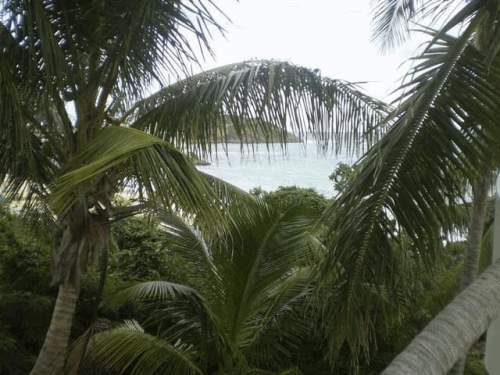 Overlooking Marigot Bay and with views across to Anguilla, Fort Louis was built in 1789 by the people of Marigot under the command of Jean Sébastien de Durat, then governor of Saint Martin and Saint Barths on behalf of the French Crown. 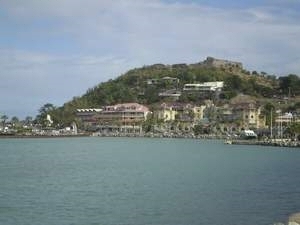 The primary purpose of the fort was to defend the warehouses at Marigot port, where produce such as salt, coffee, sugar cane and rum was stored. Subsequently abandoned, Fort Louis fell into ruins. 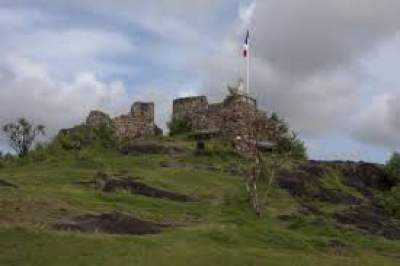 The fort was restored in the 19th Century but abandoned a second time. During this period the fort also witnessed struggles between the French and the English, the latter landing on a regular basis from Anguilla to loot the warehouses. Since 1993, restoration and redevelopment works have been undertaken under the auspices of the Hope Estate archeological association, in close collaboration with adapted military service units (SMA) from Guadeloupe. Take A Break Holidays takeabreakholidays, St Martin Island Crystal Villa St Martyn Accommodation.